My Card Attic: Another Challenge Fail . . . When Will I Learn? 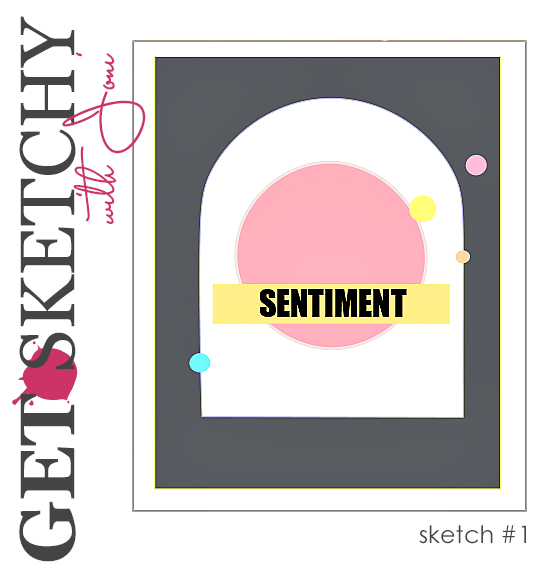 This card was supposed to be for a brand new sketch challenge on the WPlus9 blog. However, and this is where the "fail" comes in, when I made out my list of products used, I realised one very important thing was missing, nothing . . . but nothing, was from WPlus9! Fail!! I own loads of WPlus9 products and yet I had managed to make a card without a single WPlus9 product! Duh! Anywho, that wasn't going to stop me from posting it here anyway for you all to see. So, without further ado . . . here it is! I think that the problem was, when I saw the sketch, I immediately thought, 'MFT Blueprints 3' and didn't think beyond that! This is the sketch that I followed. As you can see, I even followed the colour scheme (which I didn't have to use) it was a choice whether we followed it or not. Here are the rest of the photos and below will be the list of products used. Memory Box - Masa Leaf? Hi Hazel. 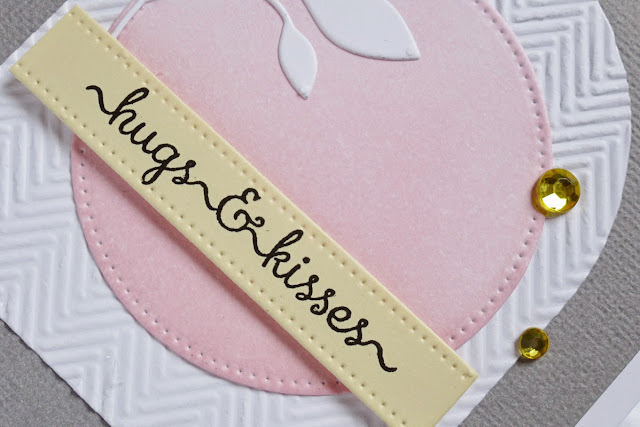 Pale pink and white on grey - a perfect combination! 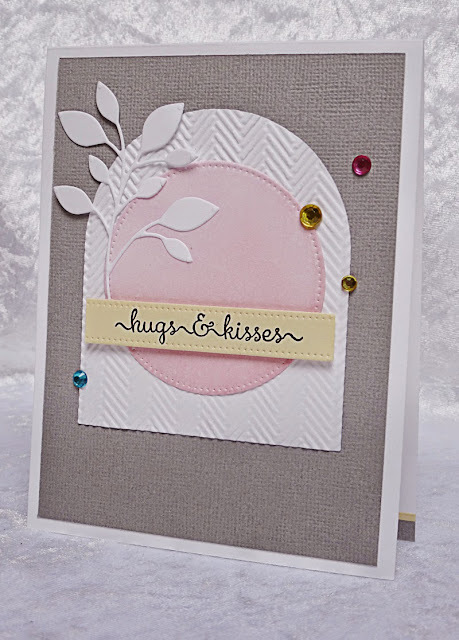 Love the design and the texture - a stunning card! So sorry, Hazel! It's a beautiful card, you were just inspired to go another direction, right?! tee hee hee, may I dare say "practice makes perfect"!!!! This is so soft and pretty. Love those leaves. 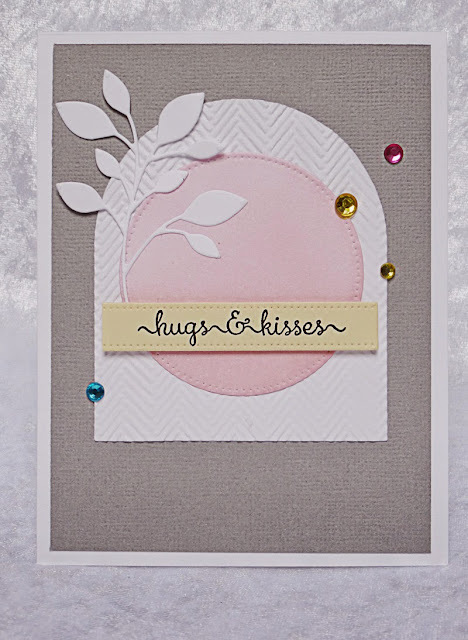 Oh, Hazel, I couldn't help but smile at your 'fail' - having so much fun making a lovely card and then realizing you didn't stick to the rules - believe me, we all have 'fails' like that somewhere along the line, my friend!!! 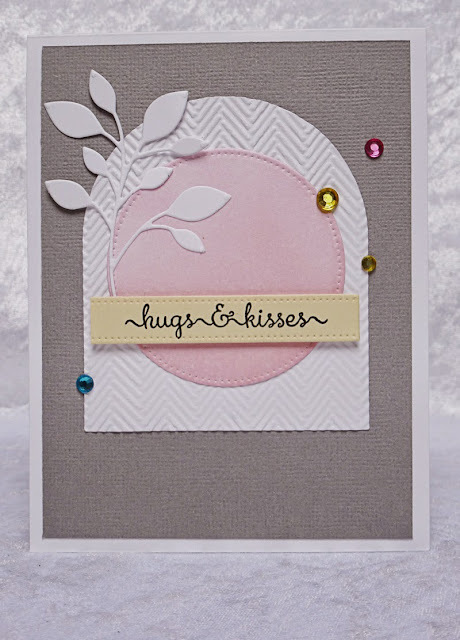 But your WPlus9 card that ended up as a MFT card, is beautiful!!! And you even used the colours - so soft and femine and lovely!!! Love the sequins with the slightly brighter colours!!! So glad you decided to share it anyway, as I love it!!! !